This Enervex RS14 Chimney Fan solves the worst draft problems by creating its own draft. The Enervex Fan is maintenance free, has a 10-year warranty against corrosion, and has a 2-year overall warranty against defects in materials and workmanship. 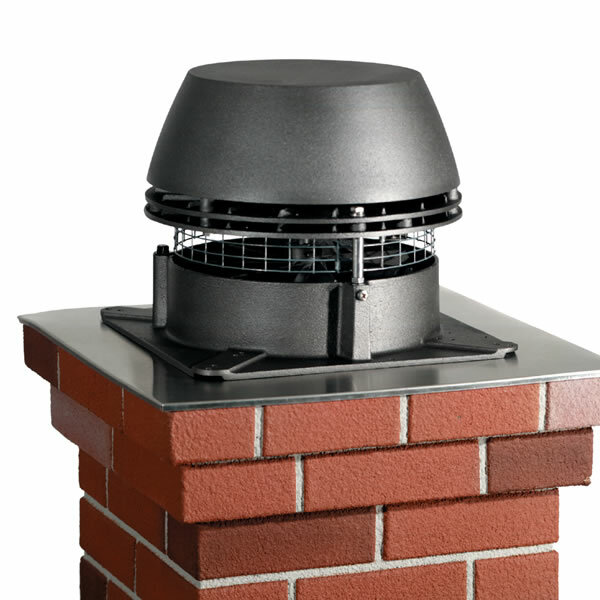 If you have major draft problems that can't be solved any other way, the Enervex RS14 Chimney Fan is the product you need.Please Note*Some local codes may prohibit the use of chimney fans on gas and oil furnaces. Installation should be performed using the services of a professional electrician, as well. Can this be used with a wood burning fireplace? Yes, indeed it can be.